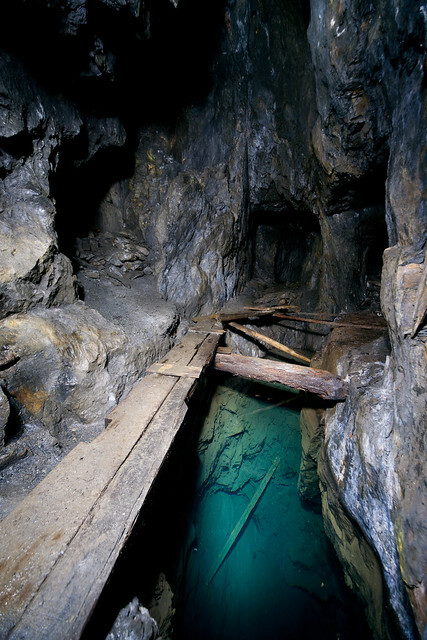 Tucked away in the North Wales hills, this mine was never very successful – after about 15 years of preparatory work, it only actually produced for about 6 years at the end of the 19th Century. 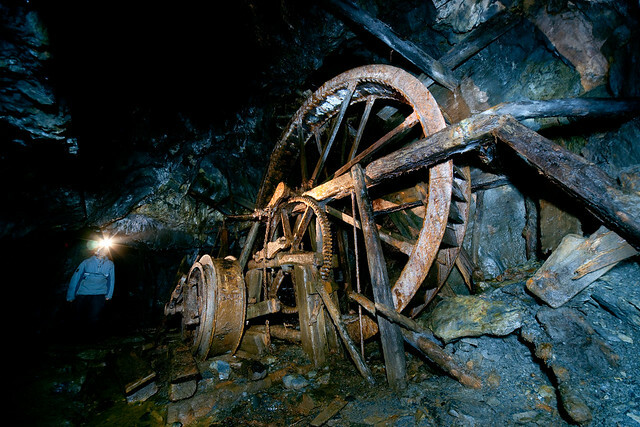 What’s worth seeing is the power source – a giant waterwheel was used for both pumping and lifting up the deep vertical shaft. The shaft itself is now totally full of water. 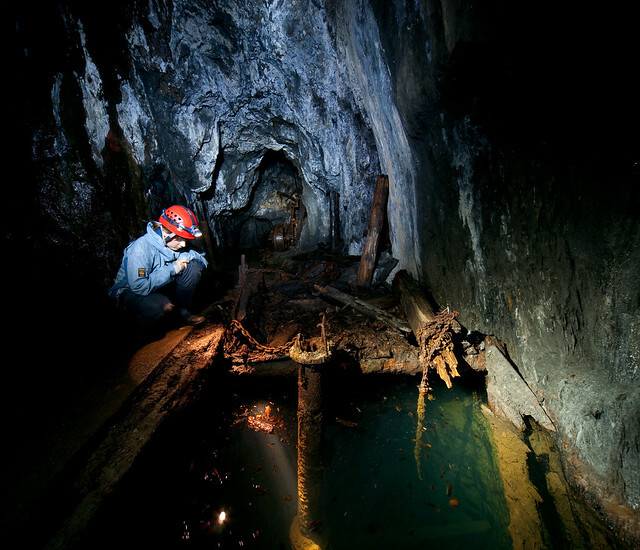 Further on, some rickety boards are the only way across another deep pool. 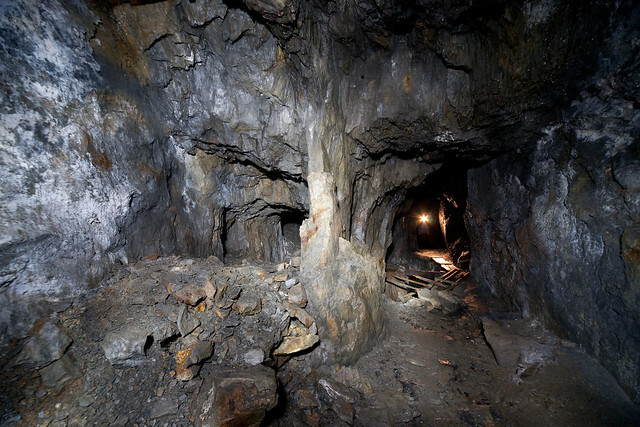 All mining was done by hand – this mine was too early and too small for mechanisation. 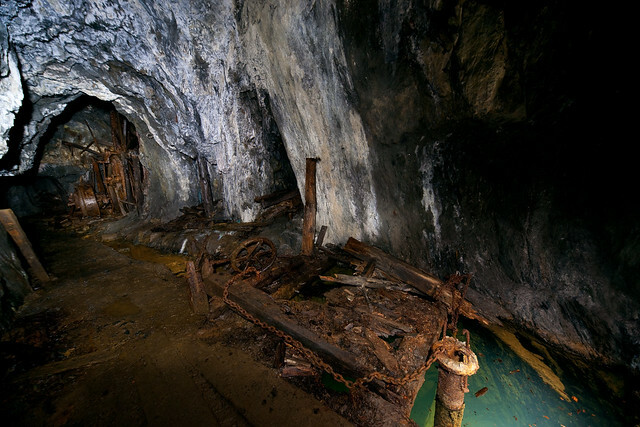 The floors are an interesting mix of rock and rotten wood – sometimes it’s hard to tell one from the other.